SRT was founded in 2013 by Mr. Evan Marcotte. SRT owes its incredible progress to those who helped set the team on the path to success and to those who continue to help improve the team and build it for the future. Take a look at this year's team as well as each of our past teams below. 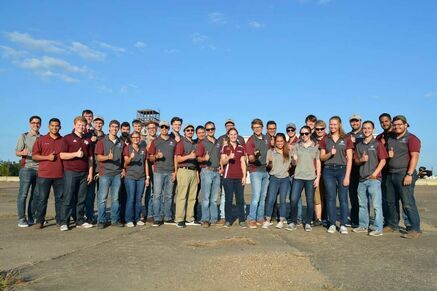 SRT-6 is the current team for the 2018-2019 school year and is comprised of 38 members, including 16 new members from over 100 applicants. The interdisciplinary team ranges from freshman to graduate students from a variety of majors including AERO, MEEN, ECEN, MMET, and MATH.